Dr. Masaru Emoto is a Japanese researcher whose photographs of water crystals are responsible for us not perceiving water merely as H2O molecules any more. He was born in 1943 in Yokohama. In 1992, he graduated from the Open International University with a PhD in alternative medicine. His approach is not strictly scientific, but rather comprehensive and opens new possibilities for different ways of perceiving water. During his work, he figured out that water is closely connected to an individual’s or a group’s consciousness, and that it is also extremely sensitive to other vibrations and information, such as music or words. 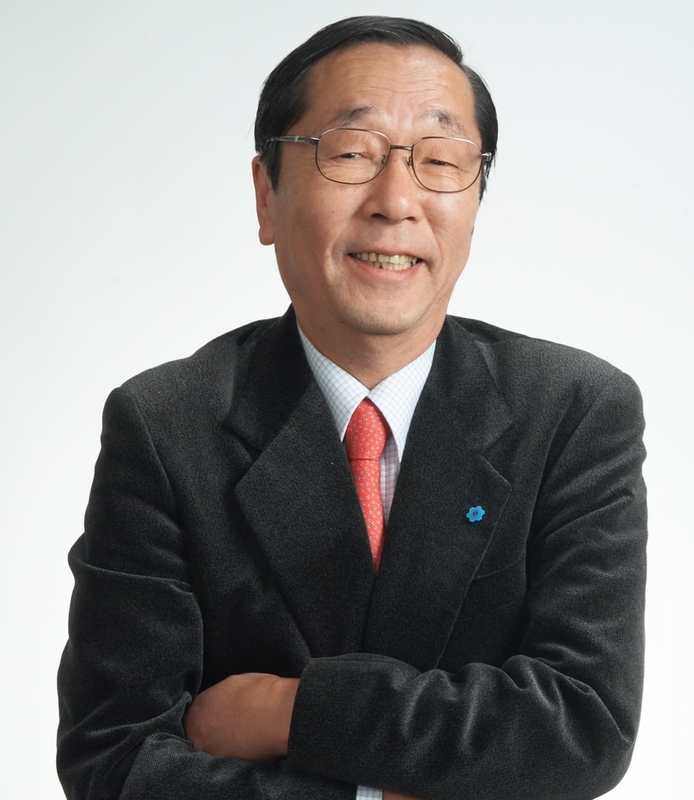 Dr. Masaru Emoto’s method is based on the principle of freezing various 0.5ml water samples. Then, small pieces of ice are then extracted from the samples and used as the so-called “seeds” from which a water crystal is later grown. 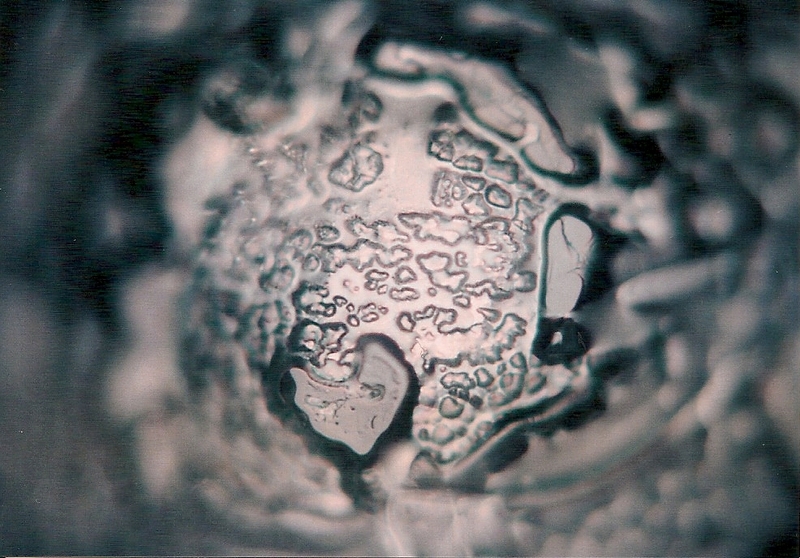 Crystals are formed at a temperature of between -5 and 0°C in various shapes based on which Dr. Emoto makes conclusions about the quality of the water. Water with a destroyed internal structure (due to mechanical, chemical or vibrational influences) does not form crystals or forms crystals with an irregular shape. 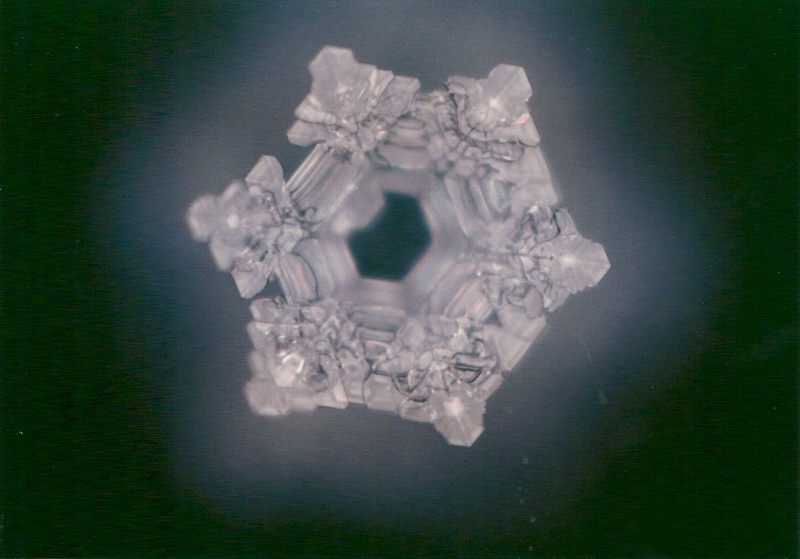 Spring water usually forms hexagonal crystals, which is the same as the crystal of water from Flaska in the photo. Dr. Emoto has written several books among which the best known is Messages from Water, which has also been translated into Slovenian. In the book, various waters from all over the world reveal their respective face by means of photos of their crystals. The photos are evident enough for us to abandon the obtained technical-mechanical approach towards water and adopt a new one that treats water in a comprehensive way. The aforementioned book is the best indicator that not even two waters in this world are completely identical. It may already be deep in our consciousness and may have already been known to our forefathers, but Dr. Emoto was the one who demonstrated it to us explicitly. In “Messages from Water”, we also find photos of the Savica waterfall as well as two photos of crystals of water that had been exposed to the Slovenian national anthem and the epic poem ‘The Baptism at the Savica’. The work by Dr. Masaru Emoto is well presented in the movie What the Bleep Do We Know?, where the authors demonstrate all the complexity of the world we live in. The common thread of Dr. Masaru Emoto’s work and the mission of Flaska is to encourage respect towards water, which is a necessary precondition for a quality lifestyle for today and tomorrow. The future will tell to what extent we have succeeded in that.